Sisiku Ayuk Tabe Julius was present in court alongside Nfor Ngala Nfor, Dr Heny Kimeng, Dr Fidelis Nde Che, Prof. Awasum, Dr Cornelius Kwanaga, Elias Eyambe, Ogork Ntui, Tassang Wilfred and Shufai Blaise Berinyuy. Their respective lead lawyers, Barristers Fru John Nsoh, Michael Ndoki, Ndong Christopher and Paddy Yong were all present at the first appearance of the accused at the Court of Appeal. They were all arrested at Nera Hotel, Abuja, Nigeria, since January 5, 2018, and have been detained at the National Gendarmerie Headquarters, SED in Yaounde. 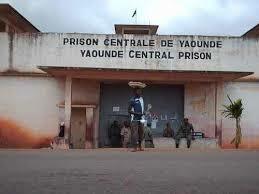 Since the trials of alleged secessionist advocates and those caught during the famous October 1, hearings at the Courts have frustrated Anglophone detainees, their families and the entire English speaking population. The Cameroon Judicial System has been criticized heavily for its inability to handle the process effectively and on time. It is common for detainees to spend months and years without appearing in court or the judges not appearing only to come after and end the case or give a sentence without taking into consideration the period on trial. Over the past years, they have been mounting tension in Cameroon’s South West and North West regions-home to Anglophones who account for about fifth of the Country’s population of close to 25 million people. The English speakers had consistently complained of haven suffered prolonged decades of economic inequality and social injustice at the hands of the French dominated government. 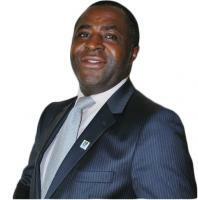 Ajuk Tabe and core has been core in campaigning for the two English speaking regions of Cameroon to separate from the French-speaking part of the country. Prior to their arrest and what many considered illegal extradition from Nigeria to Cameroon, the crisis which started as a legal demonstration by Anglophone teacher’s trade unions and lawyers for the assimilation of the Anglo-Saxon system of education and legal practice by the government has over the years taken a bloody path. Cameroon Is a bi-jural system with the English Common Law operating in the two Anglophone regions of North West and South West, and the French Civil Law operating in the eight Francophone regions of Adamaoua, Centre, East, West, the Far North, North, Littoral and South. As the crisis continues, close to 15 field workers of the Cameroon Development Corporation, CDC was attacked by gunmen with machetes at their plantations site, last Wednesday 30th October 2018. Some of the workers were butchered leaving them with disabled limbs, hands, and in some cases partial and complete fingers chopped off. Presently those in critical conditions are receiving medical attention. In another perspective, an American Missionary, Charles Trumann Wesco was killed last Tuesday in Bambui, North West Region after his car was “riddled with bullets”. His death has brought widespread criticisms on the two parties fighting by national and the internal community. The case has been considered by many as a calculated attempt to delay the procedure while looking for ways to either crush the separatist movement or seek for a political solution to the crisis. However, it should be noted that if dialogue has to take the normal due process, then the same detained pro-independence activist will undoubtedly be on the dialogue table. While the fighting and killings continue and the legal process takes it due course, it is the innocent Anglophone Cameroonians who suffer the effects of the war. The Struggle vs. Balla: Force of Argument or Argument of Force?